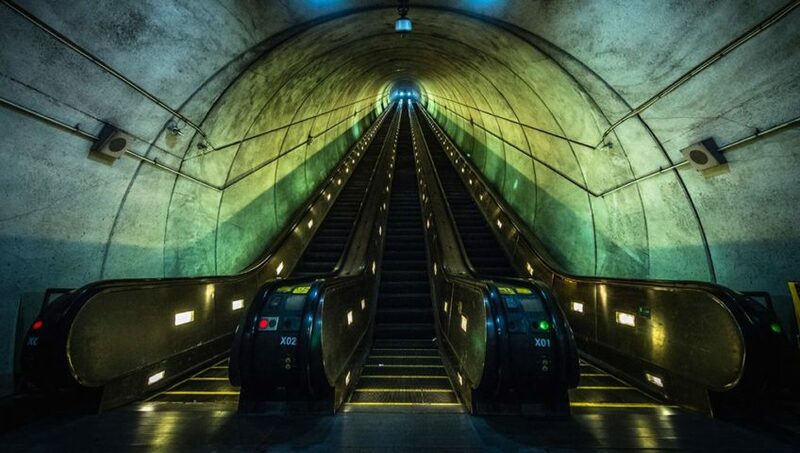 Admiral Elevator, in conjunction with Kone Elevator, has been awarded the replacement of over 128 escalators with the Washington Metropolitan Area Transit Authority. The project is a part of WMATA’s commitment to replace escalators over 25 years old and develop a preventative maintenance program that will support the safety and life of WMATA’s most valuable assets. The Washington Metropolitan Area Transit Authority’s Metrorail system, built in 1976, operates a the second largest rail-transit-system network in the U.S. The WMATA system transports more than a third of federal government to work, in addition to millions of tourists to national landmarks on its 106.3 mile rail network comprising of 86 stations, 588 escalators, and 238 elevators. Admiral Elevator is a veteran-owned and independent full service elevator/escalator company founded in 2000 that services Maryland, Washington, DC, Northern Virginia, Southern Pennsylvania, and New Jersey. Headquartered in Baltimore, MD with a second office in Washington, DC, Admiral Elevator provides the highest level of elevator maintenance, repairs, modernization, and new construction available in the industry.